We specialize in custom built Bloomer trailers, Featherlite trailers, Outlaw Conversions, GR steel livestock trailer sales, and the sale of every kind of Used Trailer you can think of! Our Service Department is second to none. We have 5 service & repair technicians who have over 50 years of combined experience, and work hard everyday to keep our customers running down the road. We also have a large parts department, and try to keep lots of commonly used parts in stock. Sometimes we can find those not so common parts around here too! We work closely with some of the most competitive banks in the industry to finance our trailers. We sell extended warranties on our used trailers for peace of mind and possible unforeseen repair expenses. 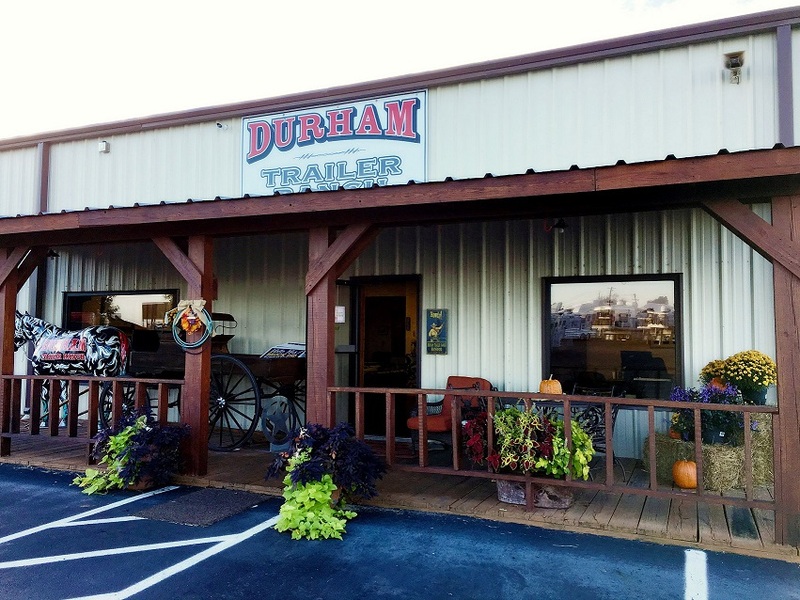 At Durham Trailer Ranch, we strive to have happy customers and happy employees. We want to be a leader in the trailer industry, and offer top rate, one-stop, service to every customer, every time.